I was so excited to try my hand at some newborn photography with Dash. I got a new camera lens and started practicing with it a few months before he was born and had also bought some newborn props. 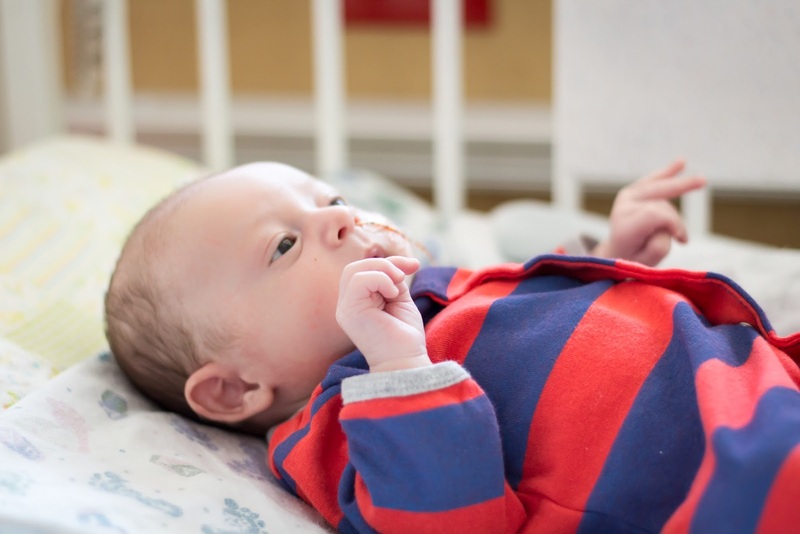 I received some tips from my favorite newborn photographer (bcouture), one of them being the most ideal time frame for the session- when the baby is 5-7 days old. I had the lighting and setting all ready. I had loads of pinterest ideas pinned. It was all planned out. 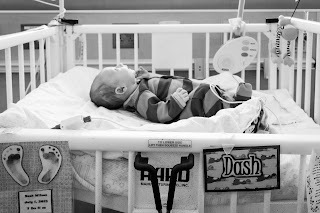 Then Dash unexpectedly ended up in the NICU and I was unable to do it. I was and still am seriously bummed about it. Anyway, I figured I might as well take some of him while in the NICU. More purposeful ones, other than the random iPhone ones I snapped every day. I think they turned out pretty well, given the setting and lighting I had to work with! Also, you will find a tribute and personal thank you to the UVRMC NICU/PEDS nurses and Doctors that took care of Dash at the end. I'm not really sure where or how to begin this so I guess I will just go into it and see what happens. 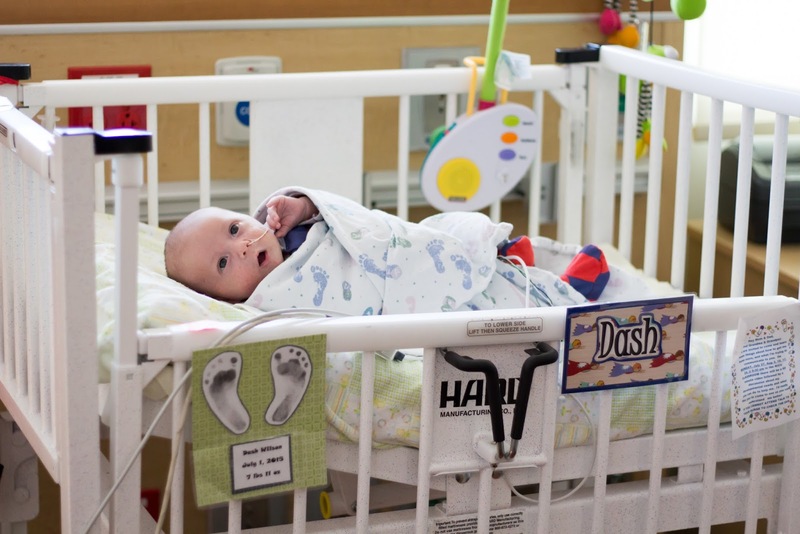 I love the NICU at Utah Valley Regional hospital. I miss it dearly. I was so bitter sweet leaving. Many people along the way told me things like, "I bet it's so hard having him there...I bet you can't wait to leave...My baby was there and I hated every minute of it..." You get the idea. And truthfully, I can totally see where they were coming from. But for me it was not that way, any of those ways, at all. I think for me it was different because of our unique situation. 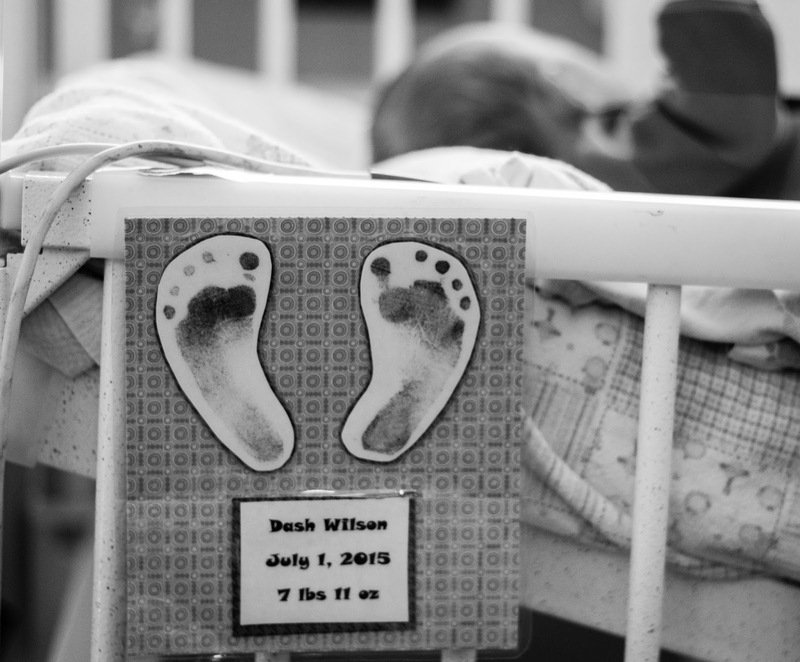 Many were surprised to find out that Dash wasn't in fact a preemie, but that he was full term. 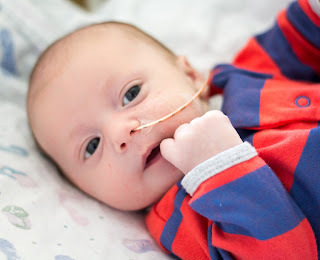 Also that he wasn't admitted directly after birth, rather 3 days later, after we had gone home after birth. Dash's diagnosis isn't all too rare, about 1 in 5,000; not super common either. But it completely blind-sided us. 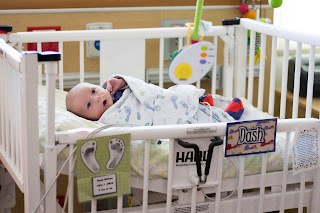 Going back to the NICU: After Dash's first surgery on the 4th of July we were basically prepared by the doctors and nurses for him to die. 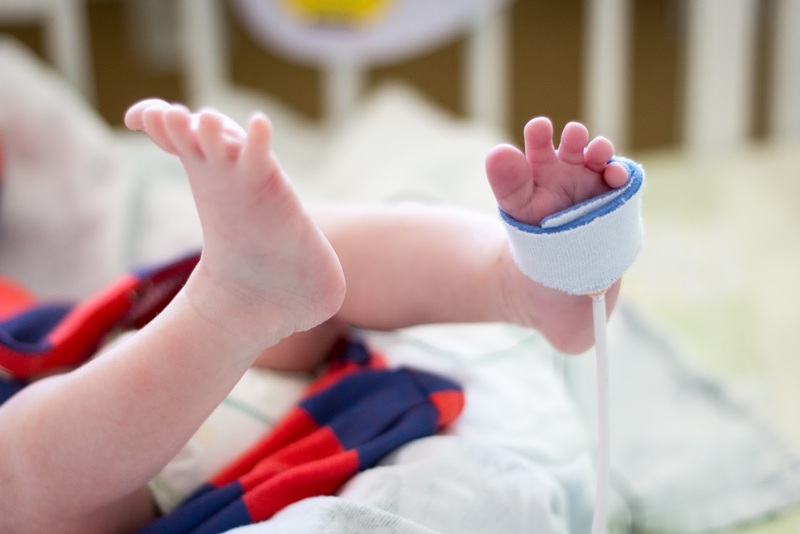 We later found out that the surgeon told Dr. Susan Morelli 10 different times to "prepare that family for the worst." She said they were all "just trying to figure out how they were going to help this family through this." I will never forget the sad, somber faces. The "we're so sorry's", the serious look on every single nurse and doctor working with us in that unit, including the surgeon. Miraculously, Dash didn't die. He is still with us. I think that is why we were so happy to be there. The alternative was much worse. We told them in the beginning that we would stay as long as necessary if it meant he would live. That's why each day we were eager to go. I couldn't get from my car to the hospital doors quick enough. 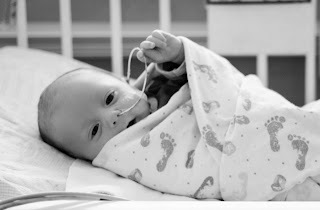 We remained in the NICU for 5 weeks, followed by one week at home, and then another near 2 weeks on the pediatrics floor. Over the span of our stay we met some unbelievable people. People that will forever be a part of our families life. I know that it is dangerous to name names in case people are left out, but there are some people that I need to publicly recognize and thank beyond what we have already in person. You are like a mother to us. 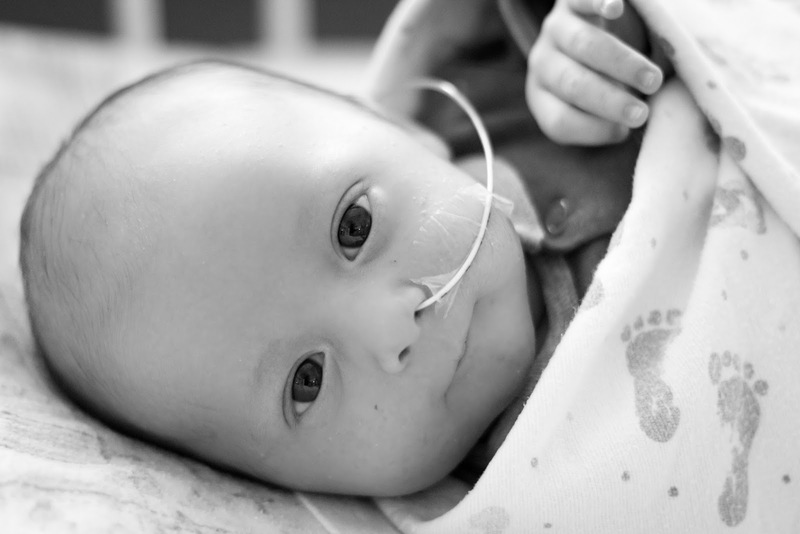 You were there in our darkest, most fearful moment when we were told the shocking words that we may lose our baby. Then you were there, and were the one to tell us the equally shocking words that he would live. Only you know the shock, horror, shock, and complete joy on our faces in those moments. You were there for us and it was you for a reason. You were there again for the 3rd surgery, the one we all knew was risky. You walked down to the OR with us. You were the first person I called after that surgery to tell you that everything went well. You, among other Doctors, took unbelievable care of Dash during our 5 weeks in the NICU. 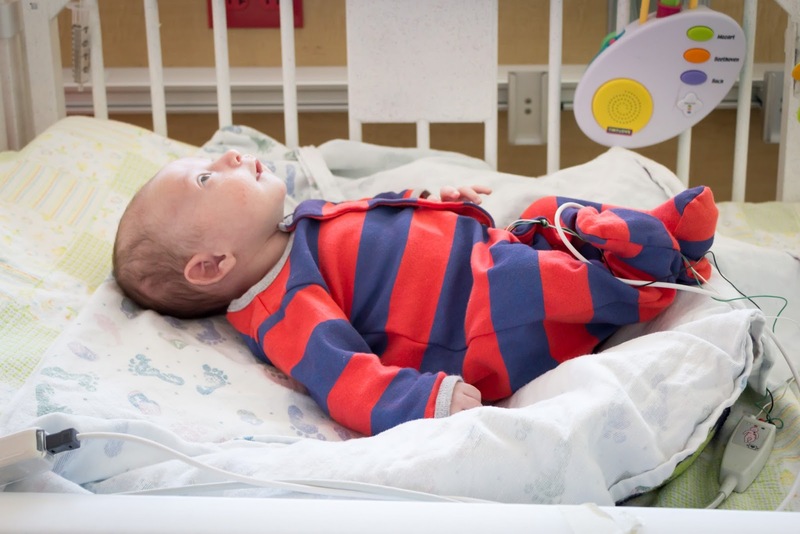 You personally fed him bottles, and often times were found cuddling him in between rounding. You took the time to explain details to us, you answered all of our questions, you cried with us multiple times, you are everything. No matter how much I say here, we both know that what we have been through together is amazing and too much for words. WE LOVE YOU. You knew that Susan was our person, but when she wasn't there you were. You and I had many long chats, most of which were when I was in a panic feeling frustrated and scared. I cannot even begin to tell you how much better you made me feel every single time. You told me that you would make sure the mistake of Dash being sent home in the very beginning from the other hospital would be dealt with. That meant the world to me. You told met that Dash is a true miracle, and that we (Bodie and I) saved his life. We will never forget those words. 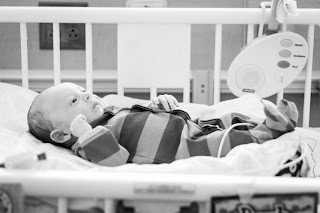 The morning of the 2nd surgery when they were going in to find out the color of the intestine, Dash's heart rate dropped significantly. It was very scary. A guy named Steve was immediately called in to help and we knew right away that whoever Steve was must be really important. That was you. And you are in fact very important. 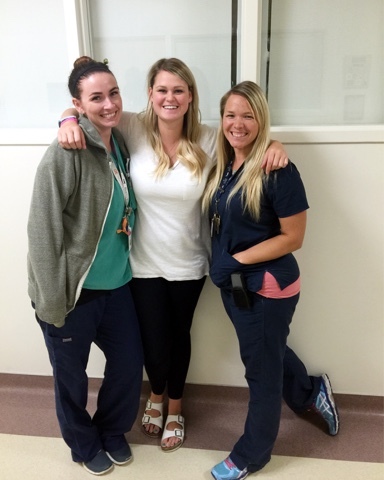 Then after we had gone home for the week and came back to the ER, you met us there right away and took care of us. I love how much you LOVE all those little babies. 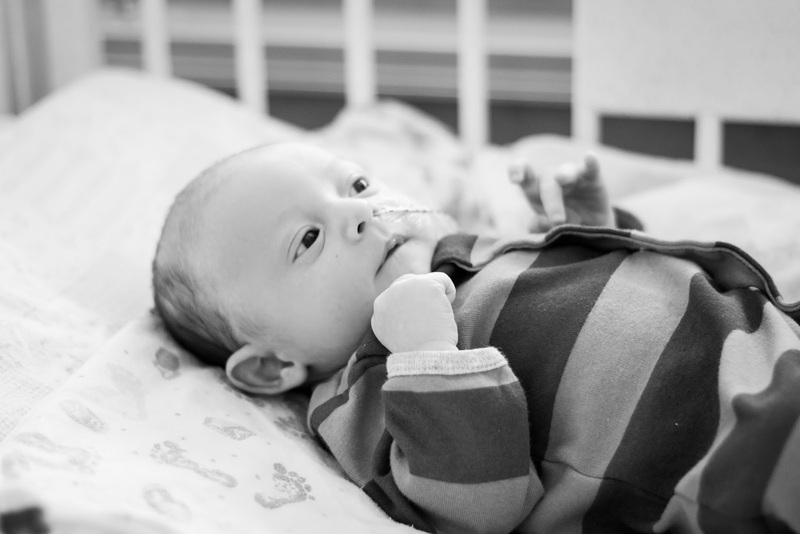 And even with all the thousands of babies that you have helped, you made us feel like Dash was extra special. Thank you for creating the unit and making it what it is today. We know from what others have said that you are 100% committed to those babies and have been known to even show up in your own hospital gown. You are incredible. We first met you just after we arrived and you were rounding with Dr. Minton. We didn't work with you much during our first 4 weeks, but on that 5th and final week we had the opportunity to finally get you. It just so happened to be when Dash spiked a fever and needed a spinal tap. You did it wonderfully and then had to call me at midnight with the not so wonderful news that the results came back and he had meningitis. As bad as that news was, you delivered it so well. Thank you. Thank you for watching over him so closely that night and for the next few days that you were over him. We really really liked you and just wish we could have had you more. Thank you for helping Dash and doing such a great job with him. 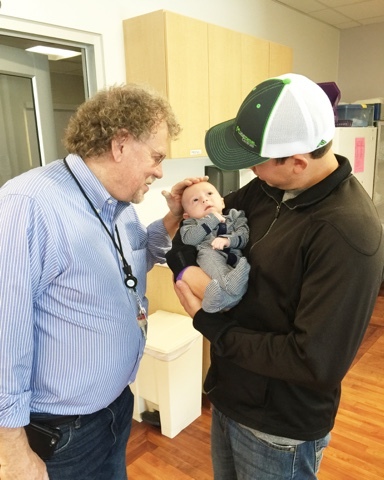 And thank you for coming down to visit when we were on the pediatrics floor. Just when we thought that maybe Dash just wasn't a very good eater and would need some therapy, you came in a saved the day. You us that Dash was a fine eater, that he needed no therapy, and then told us to try another feeding schedule. It was magic. We never looked back. Thanks to you we were able to take Dash home sooner than we probably would have otherwise. You rock and the NICU is so dang lucky to have you. You are a miracle worker in that place! You were there the first day that we came and tended to Dash right after his first surgery. You were also there the next day for his 2nd surgery. We never had you again, but remained friends the entire time. You are so special to us! I definitely feel like you were meant to be our nurse those first couple days. You have a nephew named Dash Wilson for heavens sake! And with everything else I can't imagine a better person to have been there for us had the results from the 2nd surgery turned out different and we had lost him. I remember the next day sitting and talking with you and just crying together. You are so special. Thank you for being so dang sweet to our Dollie girl and for entertaining her and for her little gifts. Thank you for our Huddy Buddies swaddle. I know that Hudson was with Dash during his stay, helping him recover every step of the way. Love you, girl! Two words: PICC line. Haha! 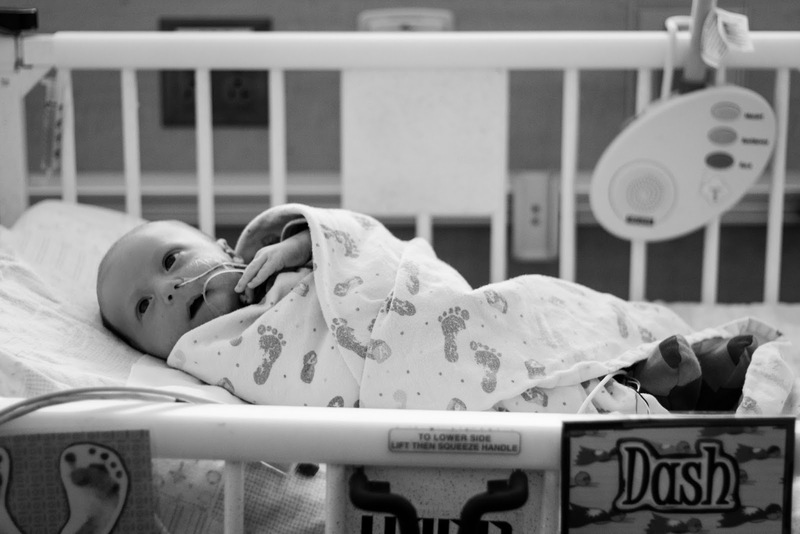 I am so glad you were the one there for Dash's first night in the NICU. And for us. We definitely needed you and your confidence. You made us feel safe and comfortable and most importantly made us feel like Dash was in the absolute best care. I remember coming in early the next morning, just a couple hours before his next surgery, and it was shift change. I just hugged you and did not want you to leave! That was really hard for me, hugging you and saying goodbye. Because you did so much for Dash that night. You made sure he was very comfortable so that his intestines had the best chance possible to recover through the night. It was the worst night of our life and yet we knew he was in the best care with an amazing nurse. I wasn't sure if we would see you again, just because I wasn't sure if Dash would still be there when you came back to work. Thankfully, he was. I think we had you one or two more times during his stay. I have been told by numerous people that you are the best nurse in the unit (out of 150), and that fact that you are part time there tells me that the stars truly did a line (as Susan always says) and you were meant to be Dash's nurse that first night. Thank you! What would we do with out you?! 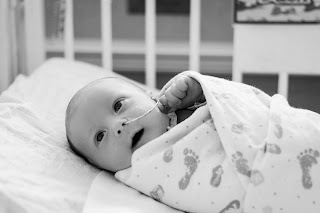 Many of you have kids of your own that have been in the NICU so you know what it's like as a mother to not be able to be there and take care of your baby at all times. When I couldn't be there I knew Dash would be okay if he was in your hands. Thank you for loving our little guy so much. Thank you for taking such great care of him. Thank you for being my advocate when I wasn't there. Thank you for being his Mom when I wasn't there. Thank you for keeping him comfortable, and for all of his diaper changes, baths, and for all those times that he threw up and you had to change his clothes and bedding over and over. Thank you for holding him, and cuddling him, and for missing your breaks because he needed you. 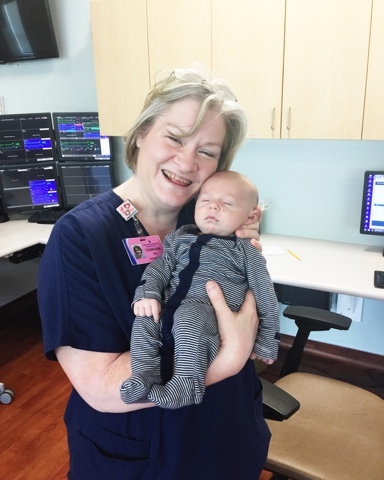 Thank you for praying for him and for visiting him on your shift even when you didn't have him. Thank you for helping other nurses that had him and giving them tips on things he liked or didn't like. Thank you for answering all of our questions, and for the late night chats. Thank you for answering all my phone calls day and night and being patient with all the questions I had. Thank you for letting me hold and snuggle my baby all the time and not giving me grief about it. Thank you for staying past your shift to tend to his needs. Thank you for making sure me and Bodie were okay. Thank you for letting me cry, and vent over and over and over. Thank you for making us feel like Dash was your #1 priority. Thank you for offering ideas and opinions.Thank you for taking all the necessary steps to help get him home. Thank you for EVERYTHING. We miss you dearly. Thank you for all your help and for making us feel so comfortable. We know it takes a team to make that unit run and we definitely saw all your efforts and hard work. You all are amazing! What a blessing you are to each family that comes through there. The first couple of days that we were there we had lots of visitors from the NICU. I know you saw immediately how close we were with them and that they were our family. You knew it was a bit of an adjustment for me on your floor. Not because it was bad, but just different. Thank you for going out of your way to make sure that we were comfortable. We were. You were so sweet to us, and to Dollie. Thank for allowing us to stay as long as we wanted, overnight, and for making sure both us and Dash were okay. Being admitted to your floor was another scary time for us, and it turned out so well. I am so thankful we had the opportunity to meet you guys and create friendships with some of you. You guys are so good at what you do, with all the different ages and cases that come in and out of your doors on a daily basis. 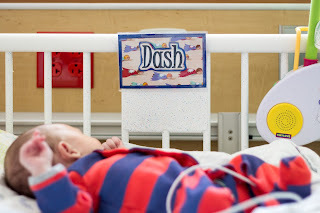 We were there for a short time, but to the nurses that took care of Dash, thank you. We are so grateful for you! Each hospitalist was so good, too. Really, really good. We were so pleased with each one. You did a great job answering our questions and concerns, and made sure our voice was heard. Thank for you for being patient with us. Thank you for allowing us to have a say in Dash's daily needs. That meant the world to us. What a treat it was to get to be on your floor. You are so special to us. You already know this. 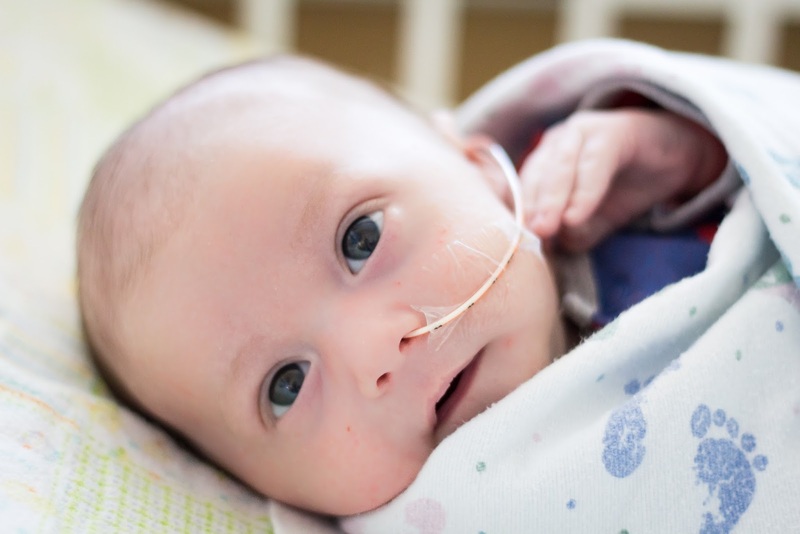 You helped to save Dash's life greatly. Thank you for showing concern and for moving quick. Thank you for doing what you do. You are one incredible Doctor, and you know it! You are a very good teacher and have a very special way of explaining things in a way that makes it easy to understand. 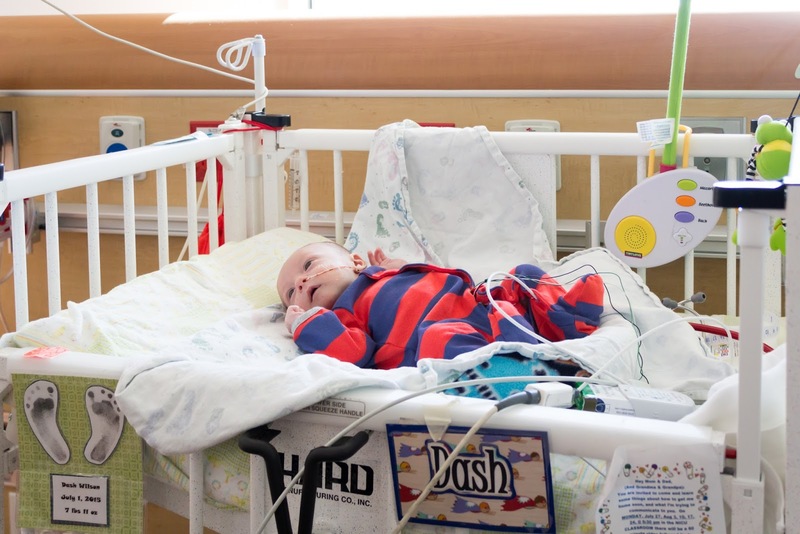 Thank you for listening to me, and for teaching me about my son's diagnosis. 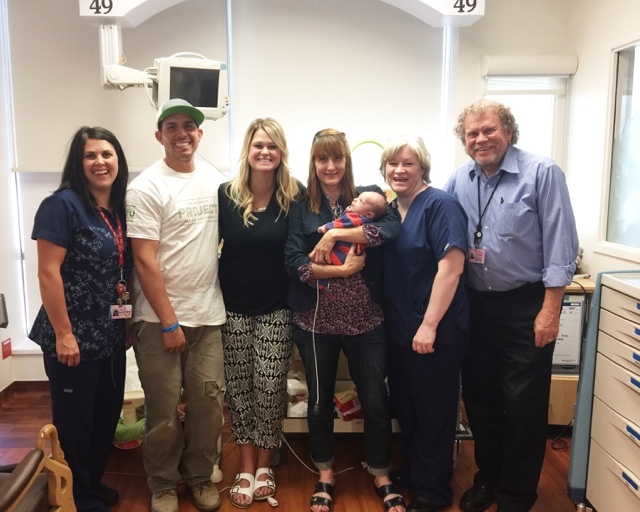 Thank you for coming up to the NICU and visiting us. Thank you for preparing us and for just everything. Most of all, thank you for helping save Dash's life. Each of you have done the most serious work on my baby. You have both seen his insides and have operated in a way that has saved his life. After being told what it takes to become a pediatric surgeon, you are truly unreal. I am so thankful for you. Thank you for preparing us in the ways that we needed to be prepared. Although we didn't meet with you regularly, you are so important to us. I know coming in unexpectedly on the 4th of July probably wasn't your favorite thing to do. I also know that telling us that our baby may die the next day also wasn't a fun thing for you. But I know the next day when you went back in and saw pink intestines it was probably a real shocker. At least that's what we've been told. We haven't talked to you or seen you since. I understand you have retired...right about the time of Dash's surgery. If Dash's miracle was your last big surgery before you retired then I hope it was special for you. That was a very special moment for us. We are very thankful for you and your work. I always knew that if a 3rd surgery was needed that I wanted you to be the one to do it. With Dr Black retiring and rarely coming to UVRMC it only seemed fitting that you be the one to perform another risky operation. Thank you for taking the time to go into the operation when it was needed most. Thank you for taking the time each time to answer my questions and help me understand. Thank for you asking for an extra set of eyes during his operation. That means so much to me. 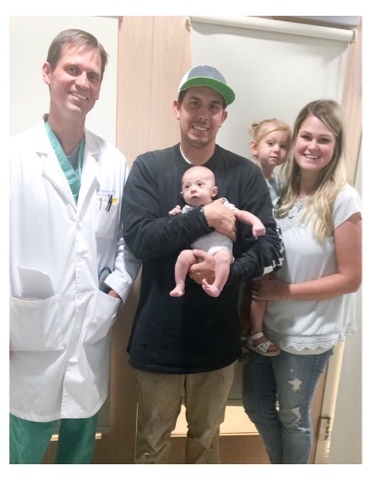 We are so thrilled with your confidence with Dash's surgery. You have made us feel much more comfortable and not as worried to move on with our lives. I think this post completes all of my feelings (at least kind of does) that I have wanted to share in regards to Dash's story of his NICU experience. It has been a life-changing experience to say the very least. Me going back to school to become a NICU nurse or even a Neonatologist may have even been talked about more than once. Who knows. But what I do know is that this experience will forever be burned in our minds and in our hearts. So thankful that we were able to experience such great care and develop such great friendships during such an awful time in our life. I could go on and on and on so I better just stop now. 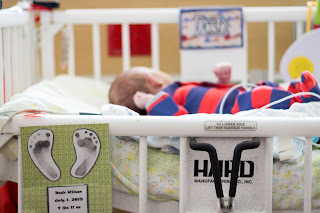 Bottom Line: We loved the NICU and the PEDS floor and we will be visiting often. 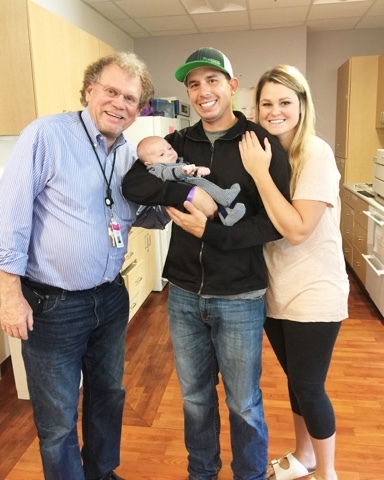 Utah Valley Regional Medical Center has some unbelievable doctors and nurses. We sure are lucky to have had some of them.